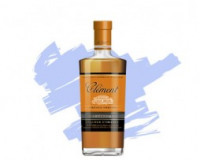 When Homère Clément, (born in 1852 in Trinité, Martinique), acquired the Habitation and founded Rhum Clément in 1887; little did he realize that he was creating a lasting legacy. After his death in 1923, his son Charles, and Charles’s sons, Georges-Louis and Jean-José, continued what Homère had created at Habitation Clément. Today 18th century Habitation Clément is one of the oldest estates on the island. Bernard Hayot bought Habitation Clément in 1986, and opened it to the public in 1988. During our stay in Martinique, we took a tour of the historic house where President François Mitterrand and President George Bush held a summit meeting in March 1991, and in 1996, the house received a Historic Monument classification. Today, Benjamin Jones, a descendant of Homère Clément, continues the Clément family tradition.